Part of the process each Sweet Gang member loves is the transformation of what is, into what can be. We search high and low across the country to bring you fresh ideas and design. We search for objects which are long outdated for their original use, a treasure buried amongst a pile of junk, a well crafted but under utilized piece that screams for a new life, or just a marriage of oddities that somehow makes sense. These objects are out there waiting for us, longing to be re-purposed A greener planet means using what is already available, recycling and showing respect for our environment. We at Sweet are lucky to be able to live our passion, creating unique design and helping to save the planet at the same time. Joanne Palmisano is a forerunner to this concept. An award winning interior designer, Joanne has honed her talents and become a successful book author and DIY specialist. In April 2012, Joanne inspired Sweet Salvage's event title, Salvage Secrets, and joined us to sign her book by the same name. She has since written a new book due out in Spring of 2014 called Salvage Secrets Design Décor. 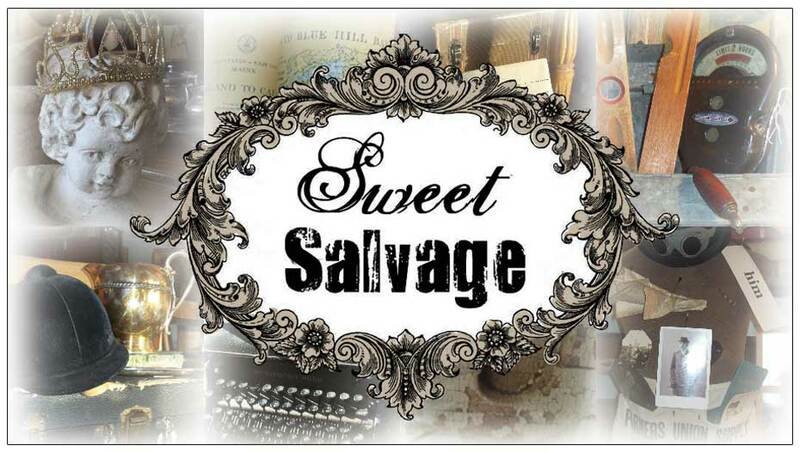 Sweet Salvage was honored when Joanne asked us, and you our beloved customers, to be featured in the book. We are so looking forward to it's publication! You can follow Joanne's creative journey at http://joannepalmisano.com and http://salvagesecretsblog.com. Kim has done a fantastic tribute to this talented designer, which is bursting with industrial genius and salvaged awesomeness by which you are sure to be wowed. It's fun, fresh and a real reminder of how keeping an open mind allows you to have a unique, functional and beautiful home.